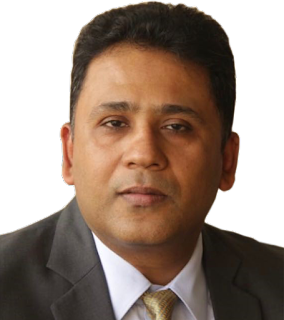 Mumbai, August 2, 2018: NeoGrowth Credit appoints Arun Nayyar as their Chief Executive Officer effective August 01, 2018. Arun is a seasoned finance professional with diversified experience in the domain of commercial and consumer lending. Arun will now lead the next stage of growth at NeoGrowth. D. K. Khaitan will continue as Chairman, and P. K. Khaitan as Managing Director of NeoGrowth.Arun, a Chartered Accountant, joins NeoGrowth from Edelweiss where he was heading the SME Lending business of the group. Prior to Edelweiss, Arun held several key positions across Business Development and Risk Management with Citibank India. Incepted in 2012, NeoGrowth is the pioneer of digital lending in India, offering business loans to the SMEs through unique tech n’ touch model. It is the fundamental premise on which NeoGrowth is built with a mission to bring social impact in the e-payment segment. The company caters to under-served market by adopting an innovative approach and validating the credit worthiness of the business. Till date, the company has successfully partnered with 12,000+ business merchants across 21 cities to grow their businesses. NeoGrowth is a pioneer in lending based on the underwriting of digital payments data. The Company’s proprietary technology platform offers unsecured loans to merchants who accept card or other digital payments from customers. Flexible repayment is a hallmark of the NeoGrowth business, offering customer’s small daily auto-repayment from card-based sales. NeoGrowth’s mission is to have a positive social impact on the financial lives of small and medium business merchants across India, more than 50% of whom are creditworthy but until now have been excluded from accessing loans based on traditional underwriting methods.